As we age our skin starts to sag, our weight fluctuates, and of course, lines and wrinkles inevitably appear. 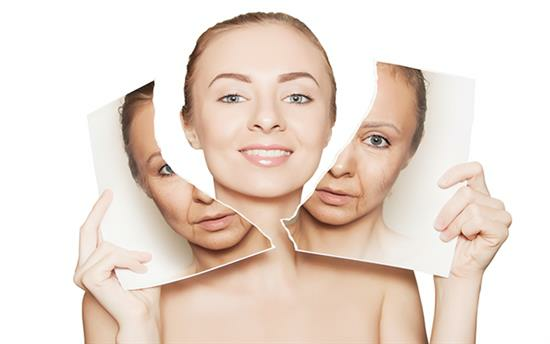 Ageing takes the most toll on our face which can be hard to deal with as this is the part of our body that people notice first, so it can be embarrassing to someone who feels uncomfortable with the way their face looks due to heavily sagging skin and/or a drooping brow or eyes. However, now you can look and feel good whilst ageing thanks to surgical procedures which can target each feature or body part that you wish to alter. As you age you may find that your brow has become slightly (or very) droopy, resulting in a ‘sad’ looking expression left constantly on the face. A brow lift can address this issue and leave you with a normal and youthful looking brow. There are two types of brow lift techniques used to perform this procedure; ‘open’ and ‘endoscopic’. An open brow lift is a more traditional technique, where an incision is made at ear level going along or slightly behind your natural hairline. The skin is lifted, some of the tissue underneath is removed and the muscles are tightened before removing excess skin and closing the incision. In an endoscopic brow lift, small incisions are made along the hairline and a small camera – endoscope – is inserted through one of the holes and attached to a TV screen so that the surgeon has a good view. Excess skin is trimmed away and the incision is closed with stitches. Mr Chana offers the endoscopic technique that reduces scarring. The eyes are very noticeable when it comes to ageing as lines and wrinkles smother the outer edges. Eye bags and drooping eyelids are also very apparent and this can make someone appear to be extremely tired and moody-looking. Blepharoplasty is a procedure used to target these problem areas with a choice of upper or lower surgery or even both together. This procedure is often combined with an eyebrow lift. Both procedures involve excess fat and skin is removed and the muscles are tightened before closing the incision with very fine stitches. The only difference between the two techniques – upper and lower – is where the incisions are made. For upper blepharoplasty, the surgeon makes cuts in the natural crease of the eyelid and in the wrinkles at the side of your eyes and for lower, the incisions are made below the lash line to the crow’s feet. This procedure is typically aimed at a younger age group who have just a few minor signs of ageing rather than lots of target areas. The mini facelift addresses ageing issues on the cheeks to the jaw. Incisions are made just in front of the ears, in the temples, muscles are tightened and the incision is secured with stitches. This offers an alternative to a full facelift. If your problem is the lack of volume in areas of your face such as the cheeks, then a volumetric facelift may be the best option for you. Ageing results in the skin becoming elasticated whereas, in our youth, it is fuller, tighter and has lots of volumes. Mr Chana may use fat transfer, to achieve this, alongside the usual lifting and tightening that a normal facelift requires. In a traditional facelift, the incision runs from ear to ear, hidden behind the hairline. The layer of muscle which lies beneath the skin is tightened and excess skin is removed before closing up the stitches. This targets all areas of the face and surgeons state that it is the most effective way to combat the signs of ageing upon your face and reveal a more youthful look with results impacting on up to a ten-year age loss off the face. A neck lift can be performed to remove sagging skin and get rid of the so-called ‘turkey neck’ look. The incision is made either side of your face, running back through the hairline. Sometimes a small incision under the chin may be required too. Skin and muscle are tightened and excess fat and skin is cut away before the incisions are then closed. All of the procedures will leave scarring but these will be hidden around the ear and in the hairline or under the chin, depending on which procedure you have had done. Scars around the eyes will be small and should fade over time.